Leading facilities management magazine Tomorrow’s FM features SaveMoneyCutCarbon tips for big washroom savings. 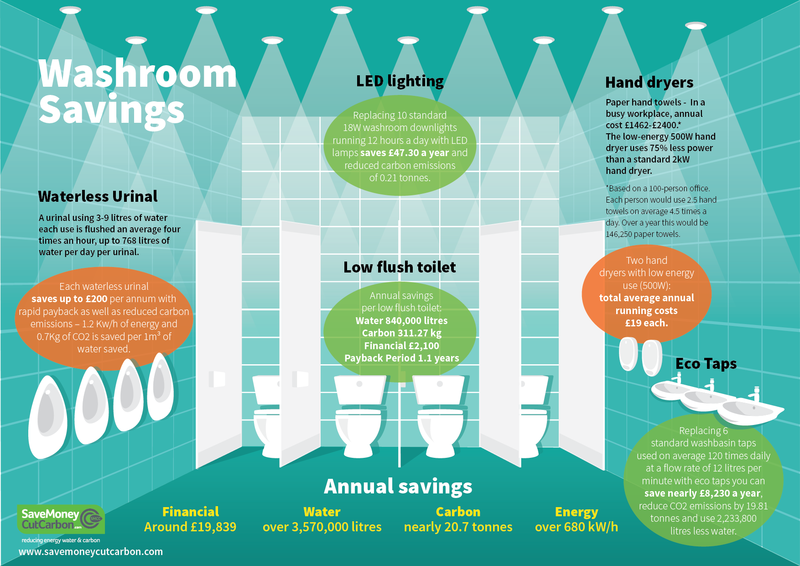 The latest edition of the magazine uses our detailed infographic and highlights the main areas in washrooms that are prime targets for savings that run into £1,000’s a year. The smart solutions range from low-energy efficient hand dryers to low flush toilets, eco taps and waterless urinals as well as LED lighting. Act now! Call our expert team on 0333 123 5464 to discuss ways to cut your washroom costs or email info@savemoneycutcarbon.com.